When your home is damaged by a storm or earthquake, we understand that it can take a large emotional toll on you. When you are dealing with the emotional aspect of your situation, dealing with the insurance company is the last thing that you want to get caught up in. Our team is here to help get your home back in order. Stucco is typically a very resilient material, and does a fine job of protecting your structure from light to moderate weather. However, in California, our climate varies from one extreme to another and brings with it storms and earthquakes that can take a toll on the most durable structures. DRSTUCCOSD's team of stucco and insurance claim experts are here to smoothly guide you through the process and get the compensation you deserve from your insurance company. Some damage caused by storms is obvious and easy to recognize, while other instances may be smaller and require closer inspection to be detected. 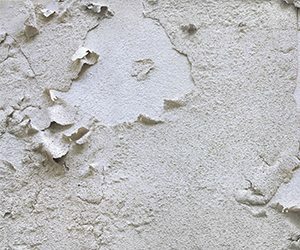 Stucco damage is a serious problem that not only comprises the exterior of your home, but if left unattended, can become an interior problem as well. How you ask? 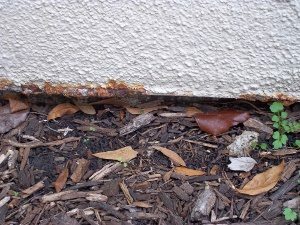 Smaller less noticeable damage can allow water to seep into your structure and create rotted or molded areas that can severely weaken the exterior walls of your home. When our team of experts are out inspecting the damage, we will also keep an eye out for any other damage that the storm or earthquake may have caused. Our experience in the construction industry allows us to recommend trusted contractors to fix virtually any damage that your home may have incurred. DRSTUCCOSD strives to make the storm damage repair process smooth and easy for you. We pride ourselves in providing the best customer experience available today, let us help you get your home looking great again.